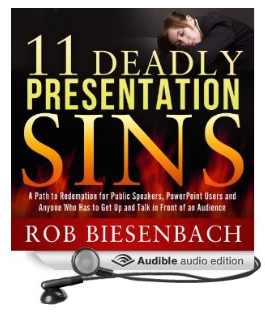 The audiobook edition of 11 Deadly Presentation Sins is now on sale! So if you’re not the “reading type,” you can just sit back, listen, and learn how to become a more skilled and confident presenter—all in just two hours. 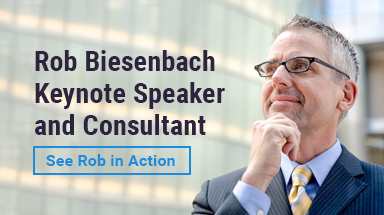 If you’re suffering from stage fright, unsure of how to organize your ideas, tired of the same old PowerPoint templates, or concerned about how to bring energy and passion to your speech, this is the audiobook for you. And at just $6.95, it’s a real bargain—half the price of the paperback. And don’t worry, it’s not narrated by some anonymous actor with no connection to the material. Nor is it read by some awkward author, unskilled in the ways of performance. It’s voiced by me, summoning all my acting skills to bring my written words to life, delivering these valuable lessons personally to your own ears! This is the complete book—unabridged—with all 11 deadly sins, from Failure to Understand Your Audience to a Weak Finish, and everything in between. It includes more than 100 practical tips to help you become a better presenter, along with all the stories and anecdotes from the world of business and performance that help make the book a fun, engaging read. And the ebook version is also now available on iBooks, in addition to Amazon, Barnes & Noble and Kobo. That means you can get 11 Deadly Presentation Sins in three different versions—ebook, paperback and audiobook—from four different sources. I had a great time recording it, and am grateful to Pam Tierney, who produced the project. She’s both a producer and a voiceover artist herself, so her direction was invaluable. The book continues to attract reviews and praise. 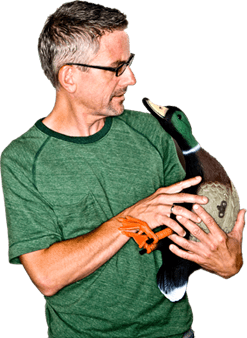 And I recently did a short interview on Business Insanity Radio, which you can listen to here (my 10-minute segment starts right at the top). There’s much more excitement to come, so stay tuned!